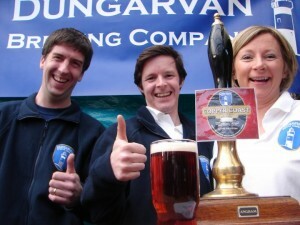 Festival season kicks off for us this weekend with the Easter Beer Festival at the Franciscan Well in Cork. 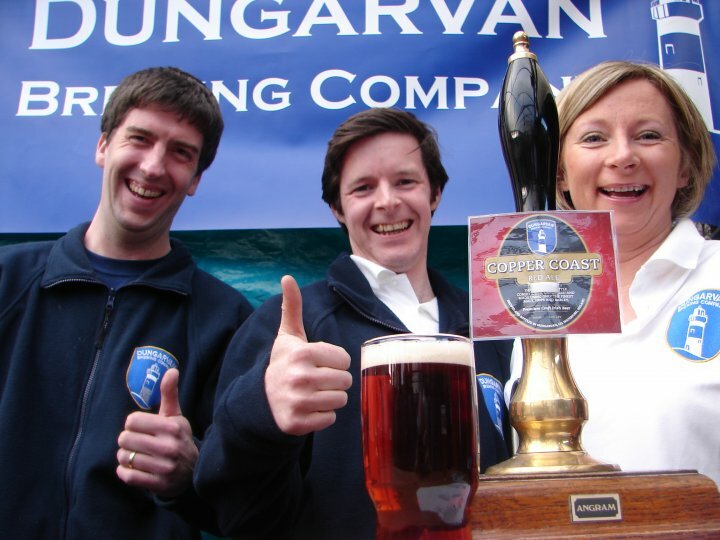 This is the longest-running Irish craft beer festival, and where we made our entrance to the Irish craft beer scene for the first time in 2010 when we arrived with our first casks of Helvick Gold and Copper Coast and pitched our bar next to the other newcomers Trouble Brewing. This year we are bringing Helvick Gold (dry hopped), Copper Coast (dry hopped), Coffee and Oatmeal Stout (last cask until Christmas) and our new seasonal, Mahon Falls Rye Pale Ale. We also have a few other festival specials that the guys have been brewing alongside our regular brews which will be tapped over the weekend. Tom, Cormac and Jen at our first ever festival in the Franciscan Well in 2010. After this on the festival calendar is West Waterford Festival of Food which runs from Thursday 11th April until Sunday 14th here in our home town of Dungarvan. We are looking forward to this year’s festival in which we will be welcoming a Bus Bia tour to the brewery and we will be speaking at the Food Producers event in the Square on Saturday. We are also working with many of the local chefs and restaurants to have our beer featured on lots of menus over the weekend. Also in April we have some in-store tasting events organised including one with Baggot St Wines who were the winners of the NOFFLA Beer Specialist Retailer of the Year for 2013 – comhghairdeas! As we confirm events we will be adding them to our event calendar on the site so keep an eye out there for where you can meet the team and taste the beers! Happy Easter from all at the brewery. 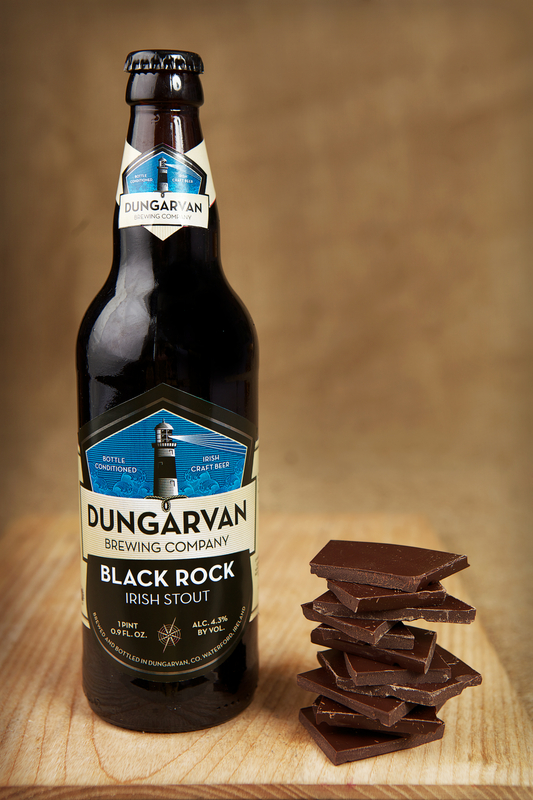 Black Rock Irish Stout pairs wonderfully with chocolate – enjoy your Easter chocolate with a glass of stout for a special treat!